Cory Flint, Designer for Brothers Flint. 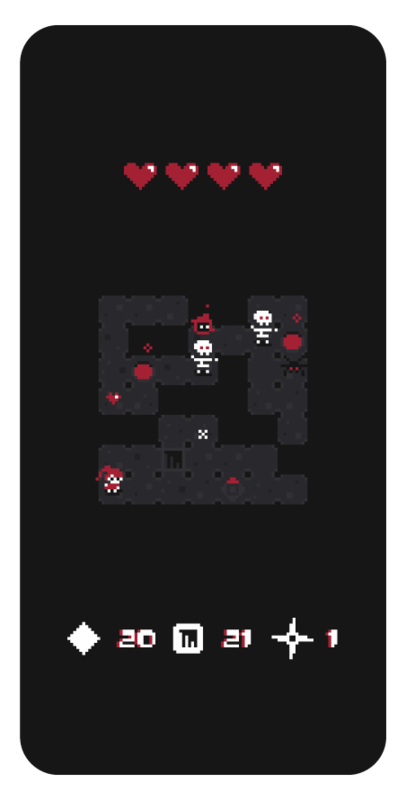 Explore tiny dungeons in a game full of heart! Battle monsters, dodge traps, and throw shurikens in quick bursts of action. Red Hearts is currently in development by two brothers with lots more in the works: new enemies, dungeons, and secrets to discover. If you love it or have feedback, please let us know. Thanks for playing! Epic battles of tiny proportions! 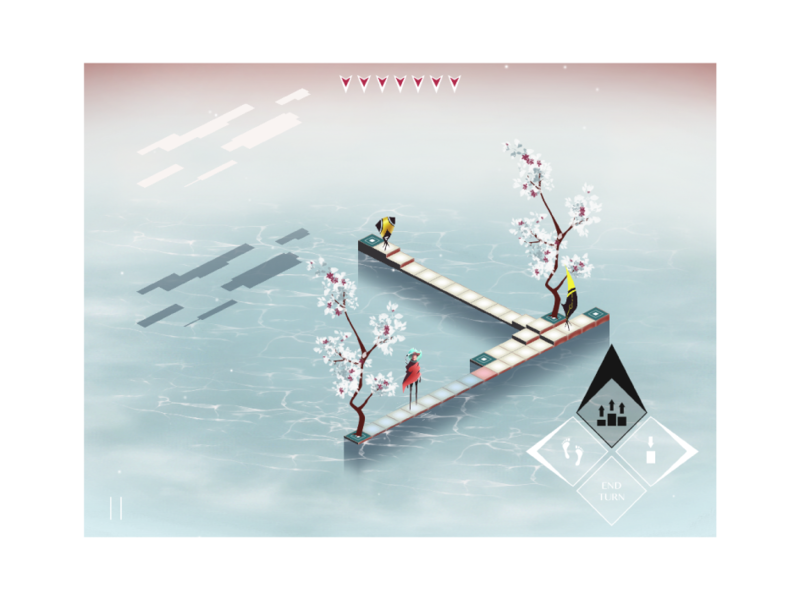 Tiny Armies is a fast-paced game of conquest. Simply swipe your units to conquer the enemy and strategize as you encounter lakes, mountains, and forests along the way. 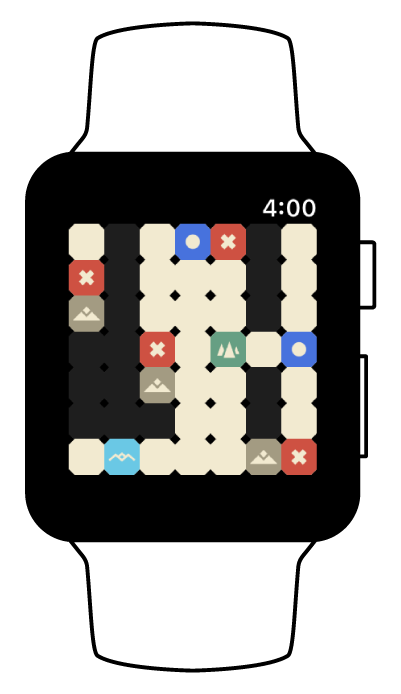 Quick bursts of gameplay with a striking presentation, designed for iPhone, Apple Watch, and iMessage. 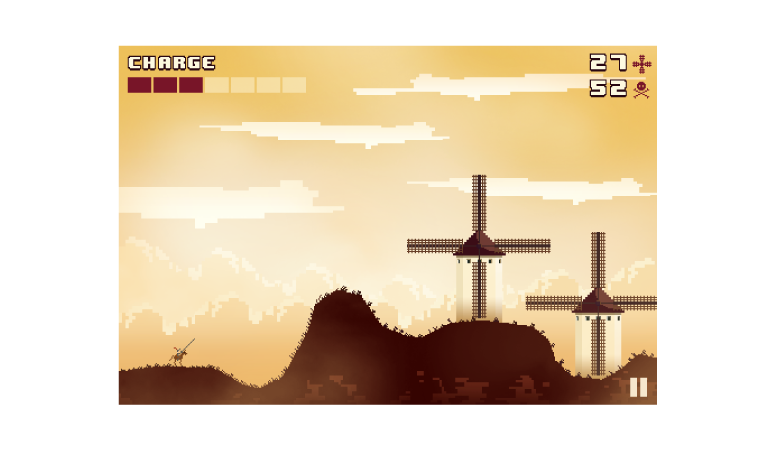 Gallop through the vintage pixelated Spanish countryside as you tilt at windmills upon the mighty back of Rocinante! Or a motorcycle! Or a reindeer! Or Sancho Panza! Unlock these and other ridiculous mounts in an endless runner that's spinning around in developer's hell until further notice. 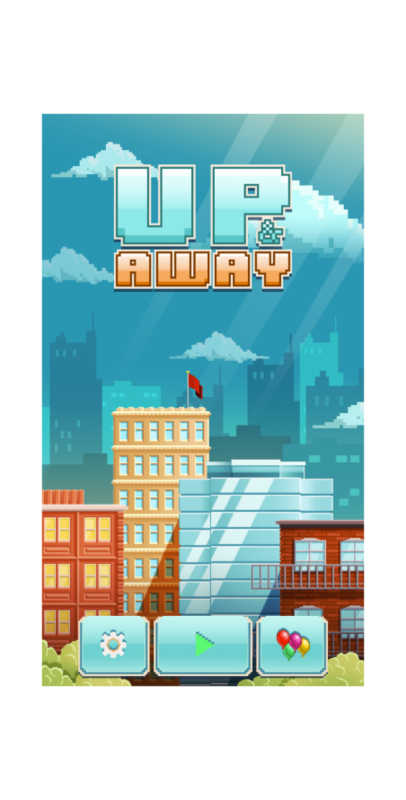 Up & Away is a fast-paced arcade game that’s easy to pick up and a challenge to master! Reach new heights, unlock new characters, collect balloons, and take your place at the top of the leaderboards. Can you soar higher than your friends and dodge the pesky traps that want to bring you down? 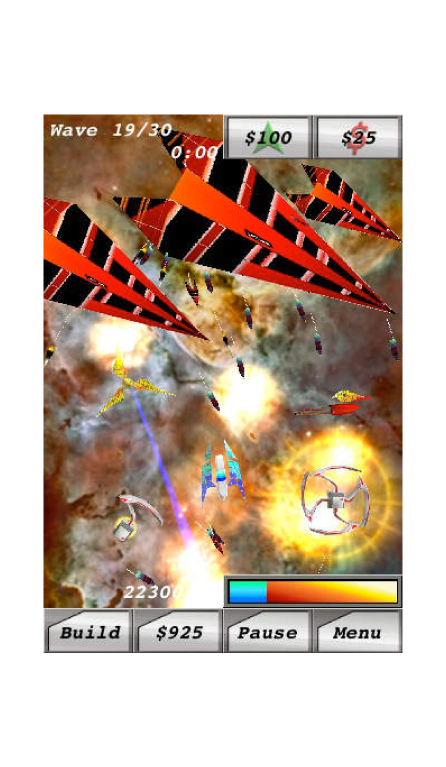 Build satellites, blast missiles, and protect planets in a game that's out of this world! Do you have what it takes to defend the solar system? Satellite Defense was designed by two brothers in the basement of a college dorm over the course of their freshman year.